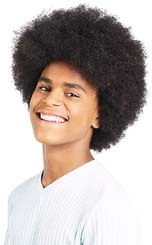 What is a family? Once, it was said to be a father, mother, boy, girl, cat and dog living in a house with a garden. But as times have changed, families have changed too, and now there are almost as many kinds of families as colours of the rainbow - from a mum and dad or single parent to two mums or two dads, from a mixed-race family to children with different mums and dads, from families with a disabled member to those with a mum or dad in prison. all! With Ros Asquith's delightful pictures, this book takes a fresh, optimistic look at families of today. 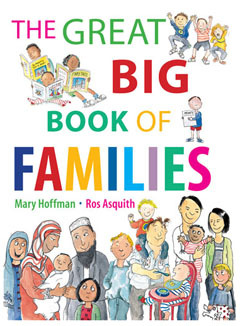 The Great Big Book Of Families by Mary Hoffman & Ros Asquith is available to buy now.